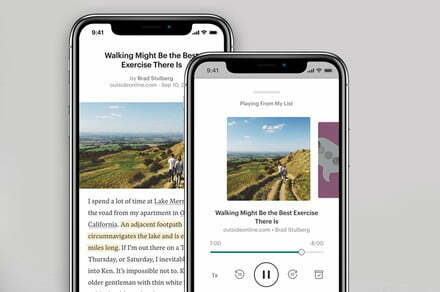 Read-it-later app Pocket is adding an option to turn articles into easily navigable podcasts with its new app redesign for iOS and Android. The feature relies on Amazon’s voice-to-text service Polly. The post Pocket transforms articles into podcasts with an assist from Amazon appeared first on Digital Trends.